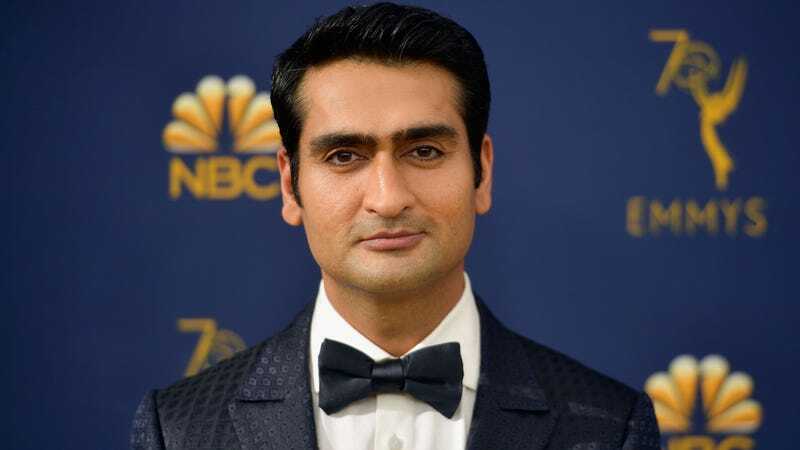 Kumail Nanjiani is stepping out of the Twilight Zone to wrangle a few wayward historical nuisances in an upcoming adaptation of Simon Rich’s short story, Any Person, Living Or Dead. Per Deadline, Legendary Entertainment has picked up the project, which will include a screenplay adapted by Rich and the directorial efforts of Jonathan Krisel (Portlandia, FX’s Baskets). Nanjiani will lead in a story about a scientist with the very attainable goal of solving all of humanity’s ills. Equipped with his own time machine, he travels through centuries to collect some of history’s most notably brilliant minds, including Shakespeare, George Washington and Aristotle. Unfortunately, he finds that certain cultural hurdles - namely racism and loose attitudes surrounding violence and murder - have rendered his new brain trust tragically flawed, and he must actively stop these figures from potentially damaging the future. Since The Big Sick, Nanjiani has been quite busy. He recently wrapped an upcoming rom-com titled Lovebirds, which also stars Issa Rae, and will soon star opposite Dave Bautista in the 20th Century Fox comedy, Struber. For now, you can check out his episode of The Twilight Zone, which is available for free on YouTube.